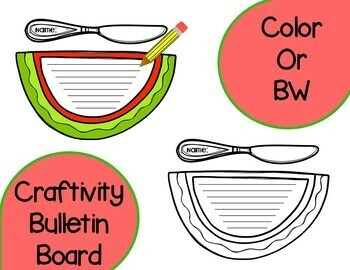 This adorable watermelon themed bulletin board display includes a writing “craftivity” to finish out the year! 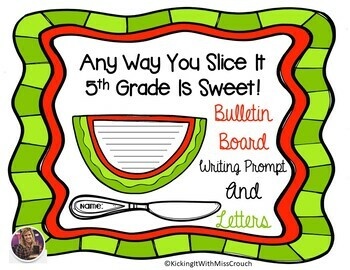 Ask your students to reflect and write about the memories that made 5th grade so sweet this year!! This bulletin board idea is perfect for spring or summer. I included a color and black and white version. You can print the bulletin board letters on bright neon paper, laminate and cut out for a super cute display. 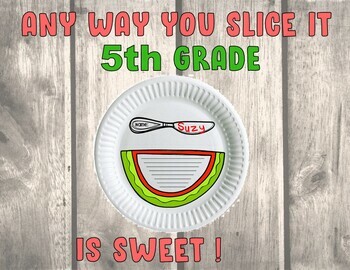 The watermelon writing template can be glued onto paper plates for a 3D effect!! Use a checkered table cloth from the dollar store as your background and you have a display that will take you to the end of the year! 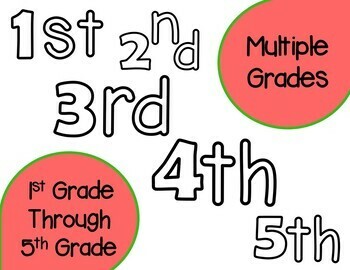 Adaptable for multiple grades! 1st grade,2nd grade,3rd grade,4th grade and 5th grade letters are included! Thank You For Your Purchase! Hope Your Year Was Sweet! !